If retired soldiers and officers can have the benefit of One Rank One Pension (OROP) why can't former MLAs? Haryana Chief Minister Manohar Lal Khattar believes they should. Khattar has “rationalised” pensions of ex-MLAs, such that there is parity in pension and allowances of former members of the state assembly. Simply put, a person who was an MLA 25 or 30 years ago, will get the same pension and benefits, as the ones who will not get re-elected in 2019. 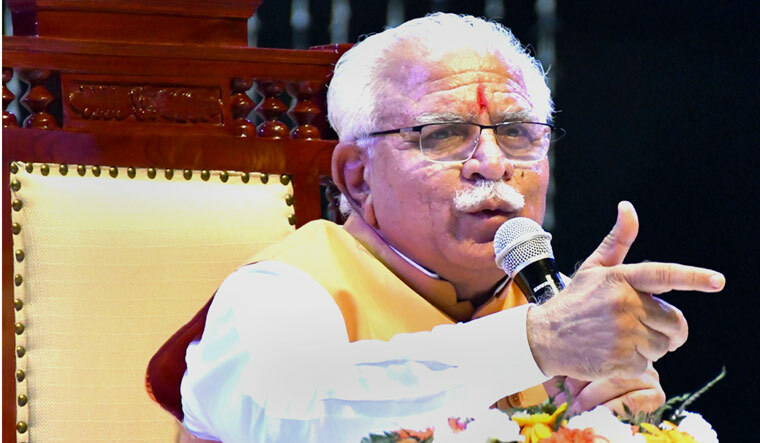 The Khattar government also notified on Monday, a complete parity between the salaries, allowances and perks of all chairpersons or members of all state commissions and authorities. Chairpersons or members of all state commissions or authorities, whether constitutional or statutory would henceforth be allowed salary as admissible to chief secretary and principal secretary minus pension for the previous service already drawn, if any. All other allowances and perks would also be maximum as admissible to those of chief secretary and principal secretary. Where no pension was being drawn by a person before his appointment as chairperson or member, he/she would be entitled to a monthly pension of qualifying service which would be regulated under the rules applicable to chief secretary and principal secretary. However, constitutional or statutory commissions or authorities in Haryana drawing pay, allowances and perks, over and above those of chief secretary or principal secretary, will see a fall in income. According to the government, these will be revised through a change in statute or execution instructions, even if this requires making a reference to government of India.